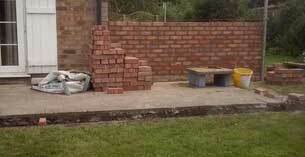 If you are looking for a very good and reliable bricklayer and general builder in the Kent area, look no further. 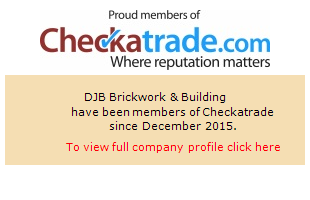 DJB Brickwork & Building is located in the Ashford area and undertakes projects all over Kent. Any type of brickwork, drainage problems, plastering, roofing or gardening is no problem for us. Services include extensions, conservatories, patios, soakaways and much more. For pictures of current projects look at the work in progress page. View finished projects here. 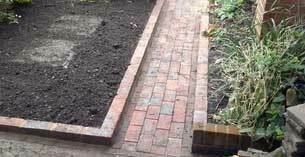 This includes everything to do with bricks, from a garden wall or path to an entire extension to your home. We can build everything you think of. We build your entire extension from the footings to the roof. This includes knocking down of any previous attachments and excavation. Whether you want a simple outdoor sitting area or a full on entertainment area including a built-in barbecue and wood fired oven, we do the lot. 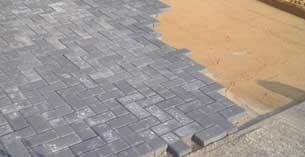 Patios in all shapes and sizes, every design you can think of.